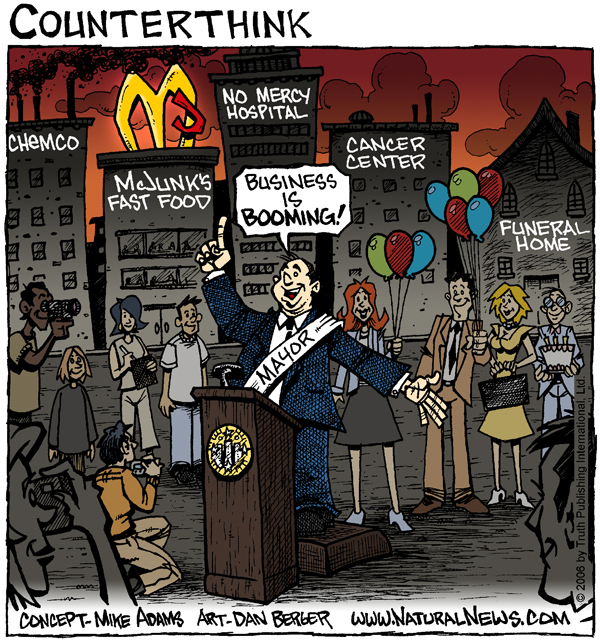 (NaturalNews) We're not sure who snapped this photo, but it's hilarious (see below). 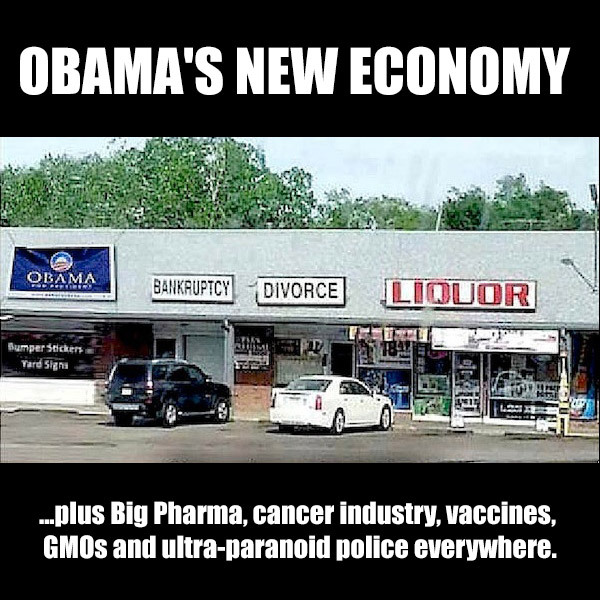 It shows what I call the "new Obama economy," where instead of Americans being involved in manufacturing, innovation and private sector businesses that provide useful products and services, the economy is shifting into police state fascism steeped in bankruptcy, divorce and liquor. The only thing missing from this photo is a "U.S. Army Recruiting" station and a "Bail bonds" shop. 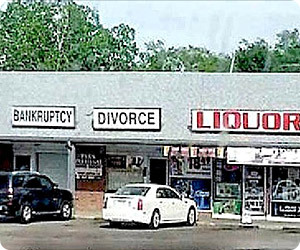 Or maybe a "Checks Cashed" store next to a pawn shop and a gambling house. This is all being done by design. The intent of the Obama administration is to crush the private sector economy and push as many people as possible onto government food assistance programs, welfare and unemployment. Already more than 100 million Americans (yes, one-third of the country!) is receiving federal "food assistance" in one form or another. Kudos to whoever took this photo (we would give credit if we knew who took it). Keep 'em coming! By the way, I saw this coming. How did Barack Obama become Monsanto's man in Washington?